& we're obsessing over our most recent version of chain links! 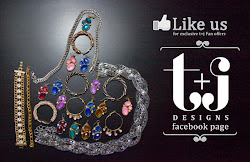 and take a look below to see how the girls of t+j style & stack them! Which color of our new enamel links is your favorite?